Have full control over your child’s online activities with Qustodio. It is a splendid program that helps you protect your child against inappropriate or dangerous content on the web, as well as from cyberbullying and online predators. With free Qustodio for Windows, you can see how your kids use the Internet, and set healthy access limits on their web usage. The application monitors your kids’ participation in chat programs and social networks, as well as their surfing behavior. You can find the contacts to which your child talks and get instant alerts if any suspicious activity occurs. The parental control application includes a ‘safe search’ option to block harmful content from the search results. You can use this Internet access controller to monitor the time spent by your children on Facebook, Twitter, WhatsApp, Instagram, and other social media platforms. It even shows your kid’s friend list, status updates, and their shared content. 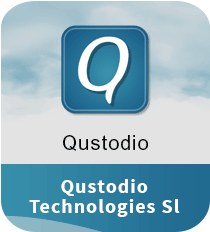 Download Qustodio to keep a track of your child’s online activities. You can monitor your kids’ activities even when they are using Internet on their portable device. The latest version of Qustodio enables you to track your child’s location in real time. The utility runs on various platforms such as Windows, Mac, iOS and Android. Also, the Windows software boasts a multilingual interface with the native support for English, Spanish, Brazilian, Italian, French, German, and Portuguese. Whether your kids use PC, mobile, or tablet, Qustodio is there to set time limits, block suspicious content, and keep your kids safe. You can monitor the apps your kids use, visited websites, and contacts they chat with. The program’s rich feature set and smart social media tracking makes it one of the best parental control software for Windows users. Overall, in order to protect your kids from online dangers and exposure to questionable content, Qustodio is a very good solution to consider.